(Lafayette, La.) — A new source for savvy shoppers is now open near the University of Louisiana at Lafayette campus. Midtown Jeans & Tees, a project of Arc of Acadiana, is a new thrift store that carries hand-selected accessories, blouses, shoes, hats, belts, dresses and of course, jeans and tees. All items are priced at $10 or less and include both basic wardrobe staples and trendy pieces. The store is targeted to the student population with an emphasis on fresh, on-trend styles at affordable prices in a convenient location. 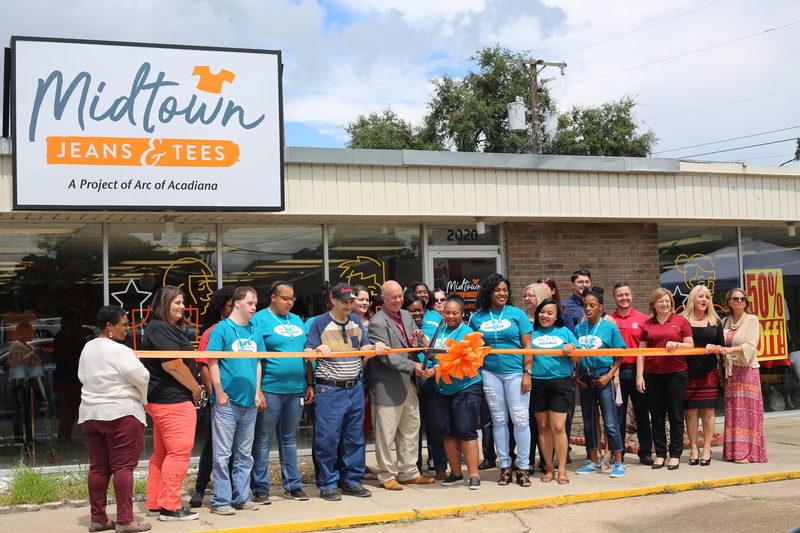 The creation of Midtown Jeans & Tees was inspired by the success of other Arc of Acadiana resale stores and a need to provide additional employment opportunities for clients in Arc’s Lafayette Day Program. The program, which provides jobs to Lafayette adults with developmental disabilities, has grown at a rate of more than 120% the last two years. Revenue from sales at Midtown Jeans & Tees is used to pay Arc’s clients to maintain retail operations. Midtown Jeans & Tees is a boutique resale store specializing in affordable, on-trend clothing and accessories. Created and managed by Arc of Acadiana, Midtown Jeans & Tees provides employment opportunities for clients in Arc’s Lafayette Day Program. More info is available at www.arcofacadiana.org. When Should I Send My Catalog?